fit pregnancy | Je Me Souviens-To Infinity & Beyond! Saturday, September 30th, marked the day of the 5th annual Lethbridge Police Services Run. They offer three different race distances—half marathon, 10km and 5km. I have now participated in not only every year, but every event! The first three years I ran the half marathon, and in two of those years I even placed in top three and was awarded prize money! Last year, I ran the 5km with my cross country kids—-it was my first race after my foot surgery. And this year, I ran the 10km. 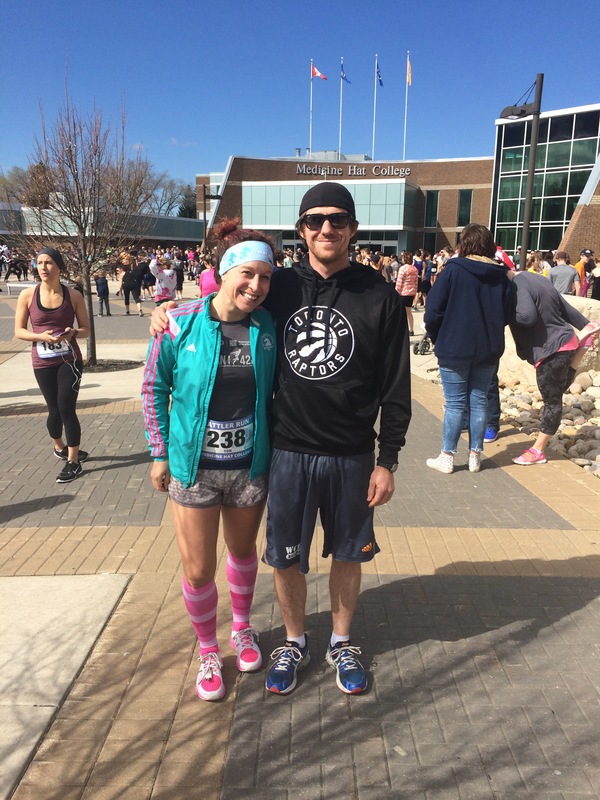 More specifically, I ran the 10km while over 35 weeks pregnant. All our race bibs for race morning! 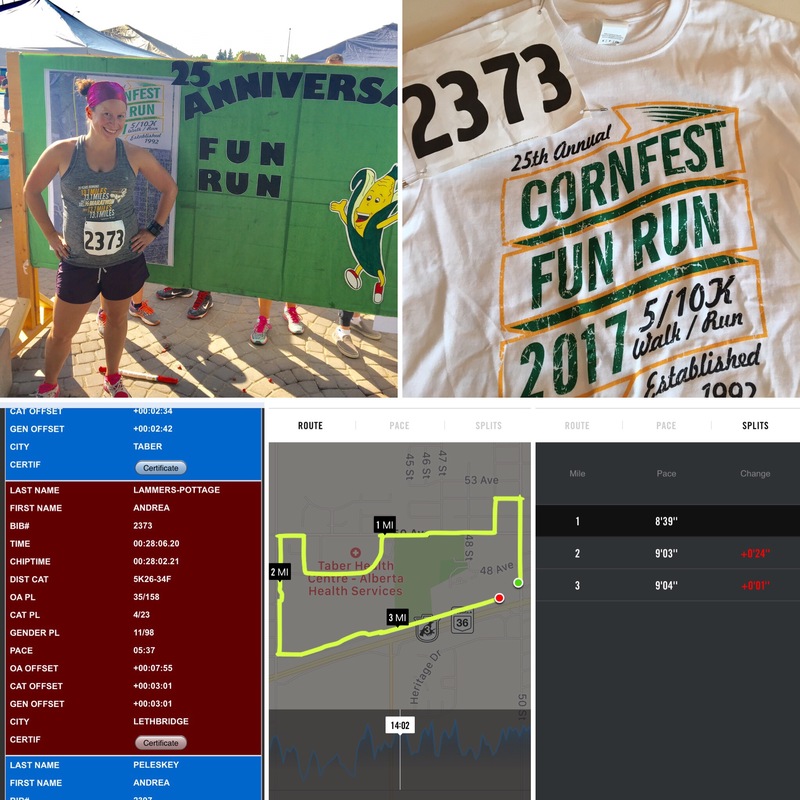 I had kept up with my training all summer, and most recently I had done two separate 6 mile training runs on Saturdays in late August and early September to make sure my body was prepared for the distance. As the race date approached, I knew I was feeling heavier (duh) and would have to just take the race with ease. I had set in my mind to have a goal of an 11 minute mile, which if I could manage this would get me in at under 1 hour 10 minutes. This would be very reasonable, considering my personal best in this distance is 41:30. 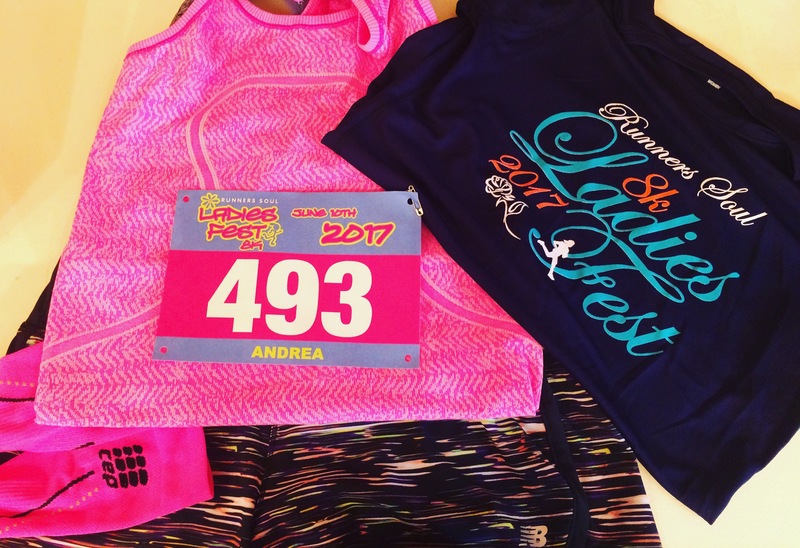 However, I understand that every day could be different in this pregnancy and I wasn’t entirely sure how my body would feel come race morning. The race day came, and I was very happy with not only the cooler temperatures, but that the smoke from forest fires had been long gone. I knew cooler weather would benefit me. The half marathon started first, with the 10km and 5km participants following about 5 minutes later. When our race began, I knew the first 5km would not be an issue—-cool weather, along with race adrenaline and the long downhill to the riverbottom, would all be working in my favour. If anything, I knew I had to be cautious and careful as I wasn’t sure how my body would feel the last 5km. My first 3 miles were a lot faster than the 11 minute pace goal—-9:09, 9:39, 10:31. At this point in the race, the 5km runners had split off from us and the crowd of runners thinned. We wound through the river bottom and made our way to the bridge, our past Helen Schuler, and back. With less people out there, it was mentally challenging to get through mile 4 and 5. I was able to hold on pretty close to my third mile split, running mile 4 and 5 in 10:35 and 10:32, respectively. Now with only 1 mile to go, it was mind over matter. I pushed my legs the best I could, all while still watching my heart rate. There as a point in this final mile where I knew I could go faster, but my heart rate would spike. I had to hold back a little bit. Mile 6 was 10:32, and I was able to close out the last 0.2 of the race comfortably. I finished my 6.2 mile run in a time of 1:02.50! Finishing when I did was perfect—my mom and mother in law had just finished walking the 5km and were able to see me come in to the finish. There were friends of mine who had done the 5km race that were watching the finishers—their words of encouragement helped a lot! I was able to grab a bunch of food, which I normally don’t eat but figured baby needed, walk around to stretch my legs….I eventually went to the bathroom, but it was funny that I didn’t need to immediately! Baby presses down on my bladder, but I just have to try and block that out of my mind when I race because I know I really don’t have to go to the bathroom! I then was also able to catch my husband finish his third half marathon, with his second best time—a 1:42.56. I am still so amazed at the times he can run given that he only runs once a week….ONCE A WEEK! And it’s just speed work with Runners Soul Race Team. Imagine what he could do if he took it seriously! Overall, this event was again fantastic. I had a great run, my family had a great time participating in it, and the event itself was put on so smoothly (like always). I always enjoy this event, but this year will be extra special as it fell on my 33rd birthday weekend and baby shower. This is a 10km to remember! I’m not someone who partakes in “Virtual Races” much. For those of you who don’t know what a virtual race is, it’s any event where you register to race the set distance but on your own course. Some actual road races offer virtual options, which usually need to be completed and logged during a certain window of time. And some companies put on virtual races just as events where people can log their times and earn a medal to commemorate the run. The times I have done so was when I did a Digital Running Virtual Run to tack on to my RunDisney Dopey Challenge in 2014 (Hat Trick medal, Grand Slam medal), an “Interstate Challenge” (run a race in Canada and USA…easy!) which then led me to doing a “Time of the Season” challenge with them (run at least a km race in every month of 2014….HUGE four piece medal once done!) I also did the Knotts Berry Farm Coaster Run 10km as a Virtual Race in 2015 solely for the Snoopy medal. I mean, duh…. I would rather just be out running an actual race than doing a Virtual Race. And a lot of the Virtual Races that I see people doing are through promoters in the USA, which then means its a US dollar registration fee, and since our exchange rate in Canada isn’t really that great at the moment it just gets pricey. It has to be something special for me to consider a virtual event. 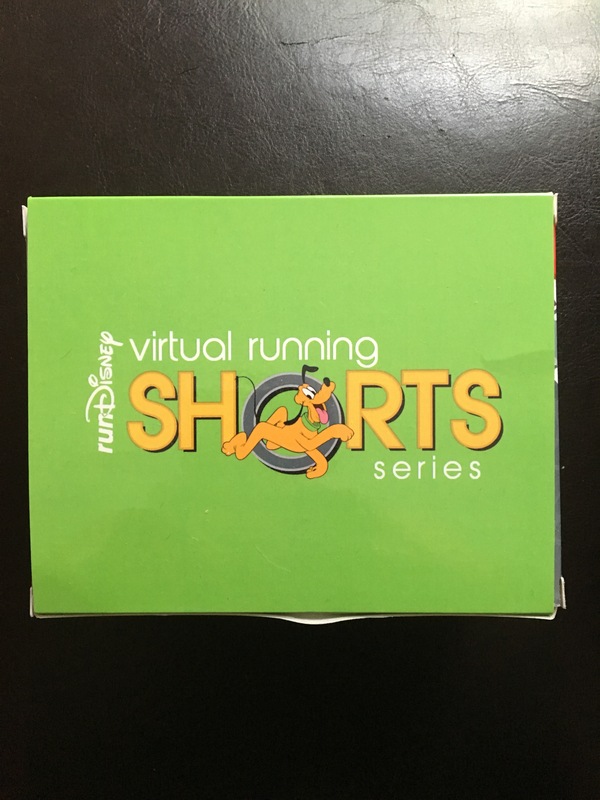 In Spring 2016, RunDisney announced their first “Virtual Running Shorts” which would take place in the summer. There would be 3 different 5km virtual runs you could do, one for each month, with a different medal for each month plus a challenge medal if you did all three. I was intrigued by this last year since I knew I couldn’t run that much distance in the summer, as my foot surgery was early June, but opted to not push myself post surgery with events (even if just a 5km virtual run). This year, RunDisney offered the Virtual Shorts again and I jumped on board pretty quickly. The price tag sort of made me contemplate if it was worth doing-each virtual race was either $40 a piece or you could pay $142 for all three plus the challenge medal and other goodies. This was then when our Canadian dollar was really at its worse, so after the tax and fees and exchange rate, I did end up paying quite a bit for what is basically just appears to be 4 medals. Would it be worth it? I was impressed with that I received my package from RunDisney very early in June—even before some other people in the USA! 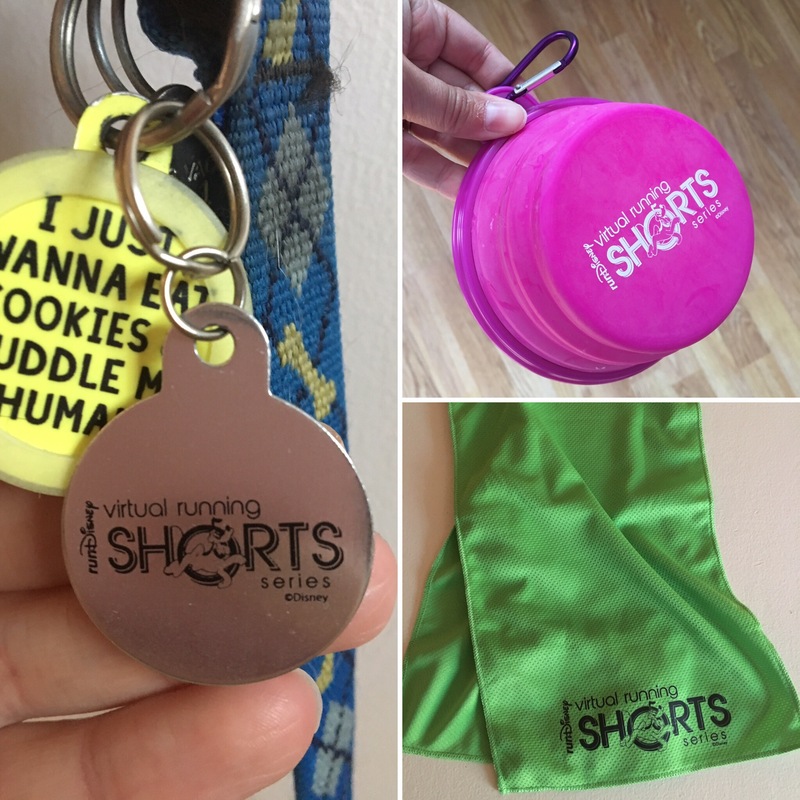 They mail you all four medals right away, each individually packed, plus the other goodies which was a collapsible dog bowl, dog tag, and cool towel. The additional goodies were only for if you registered for the whole challenge, and are dog items since the mascot for the series was Pluto. They are definitely not something on their own worth registering for, and if you don’t have a pet there really isn’t a use….but I have to say we used that dog bowl a lot this summer with all our travels to and from Calgary for Snoopy’s acupuncture! I opted to keep all the medals in the box and would only remove each one as I completed a race. What’s the point of hanging them all up right away?…I needed to earn them! Since I wanted to be able to hang my medals early each month, I tend to chose early dates to complete my virtual run. I also tried to choose days that were important to me, just to make them a bit more special. I ran my June 5km on June 7th, which would have been the day of my dad’s 65th birthday. I was 19 weeks pregnant at this point, and full of emotions, as Snoopy was not yet back to walking. I finished this 5km in a time of 34:55. I opted to use the Canada Day Red Dress Run 5km event as my July digital run. That event ended up being closer to 6km in length, but I made sure to stop my watch once I reached the 5km point so I had a time for my virtual run. I had most fun doing this run as part of the RunDisney Virtual Running Shorts series mainly because I took the “Dress in Red & White for Canada Day” theme as the opportunity to wear my Minnie Mouse tutu! It was also fun for it being during an event, as I pushed myself a bit more and ran a 31:45. I was 22.5 weeks pregnant. I couldn’t wait any longer for my last medals, so once August 1st rolled around I went out and did my final event. The whole month of July had been incredibly hot, but I had stuck with my 4 days a week training plan of running. Honestly, having these little 5km virtual events each month helped keep me going through the heat and this pregnancy! 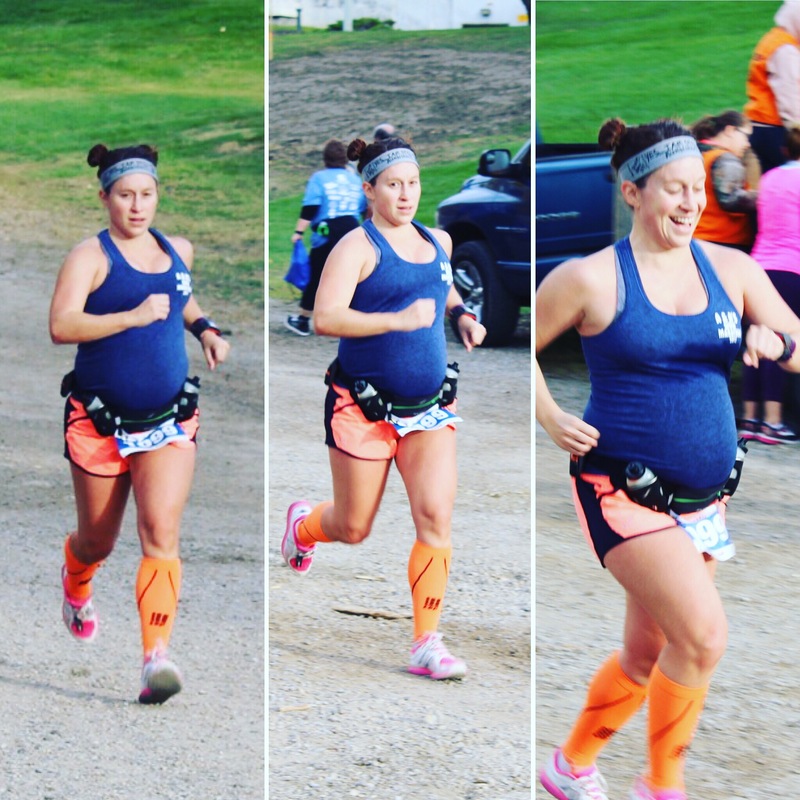 I was just shy of 27 weeks along in my pregnancy when I completed the final 5km, in a time of 35:41. All four medals are hanging proudly on my medal hanger, and I even made sure to hang them right by all my other RunDisney bling! 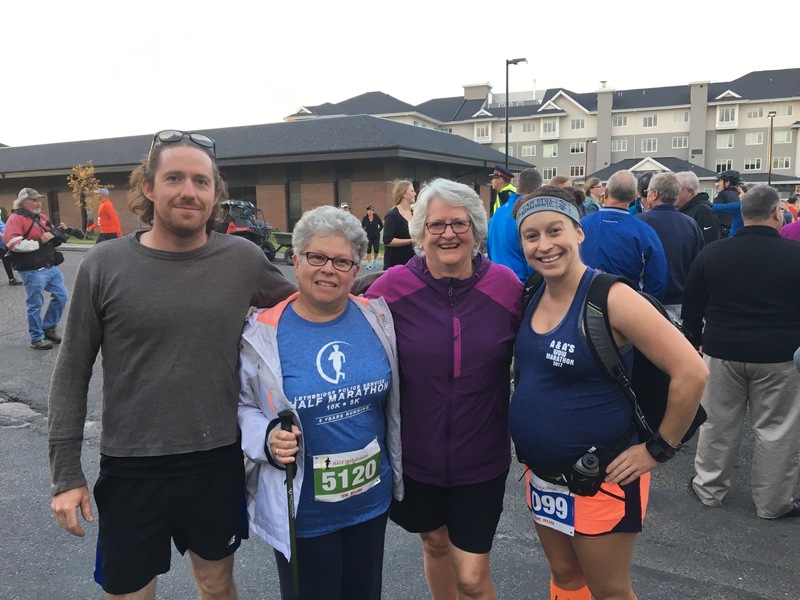 Participating in this virtual event was perfect for me, given that my last half marathon was end of May and that I wouldn’t be doing any other long races this summer during my pregnancy. 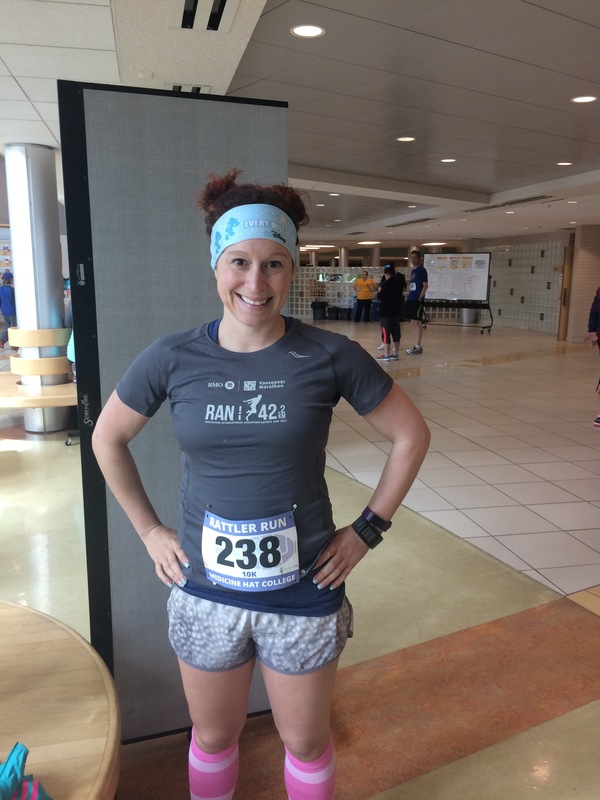 It helped keep me accountable this summer, when otherwise I may have just gotten frustrated that I wasn’t registered for any summer time 10km or half marathons. 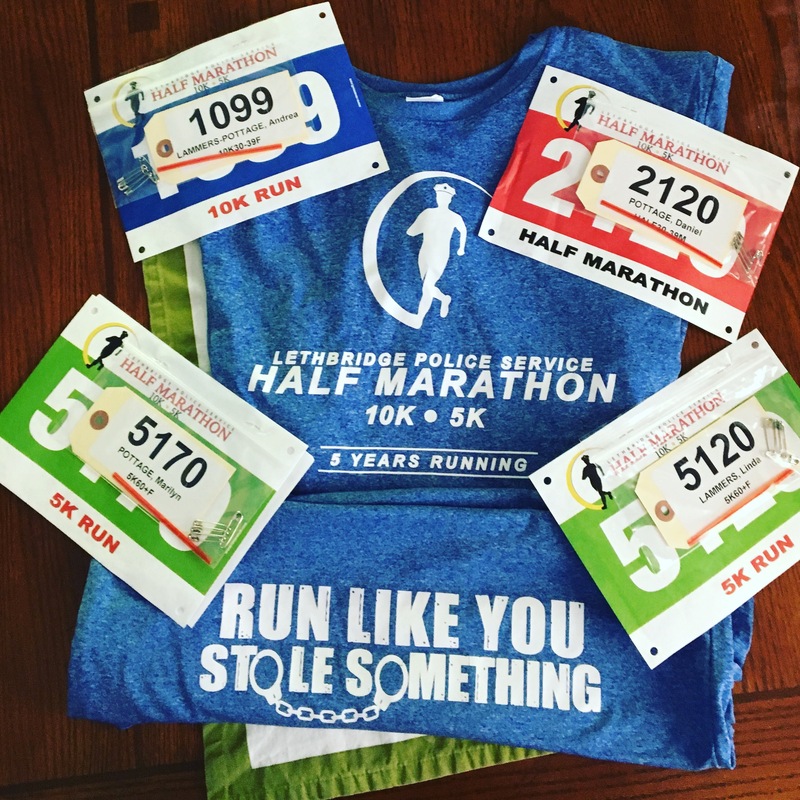 If someone needs a little extra push, this race series may be a good option for you. While I most likely won’t do it again next year (I’m doing Start Wars-The Dark Side and Disneyland Half Weekend, so I get the real deal!) I am happy that I registered for it this summer! I first ran a Calgary Marathon Weekend event in 2009. That marathon was AWFUL for me, and I took a break from running full marathons. 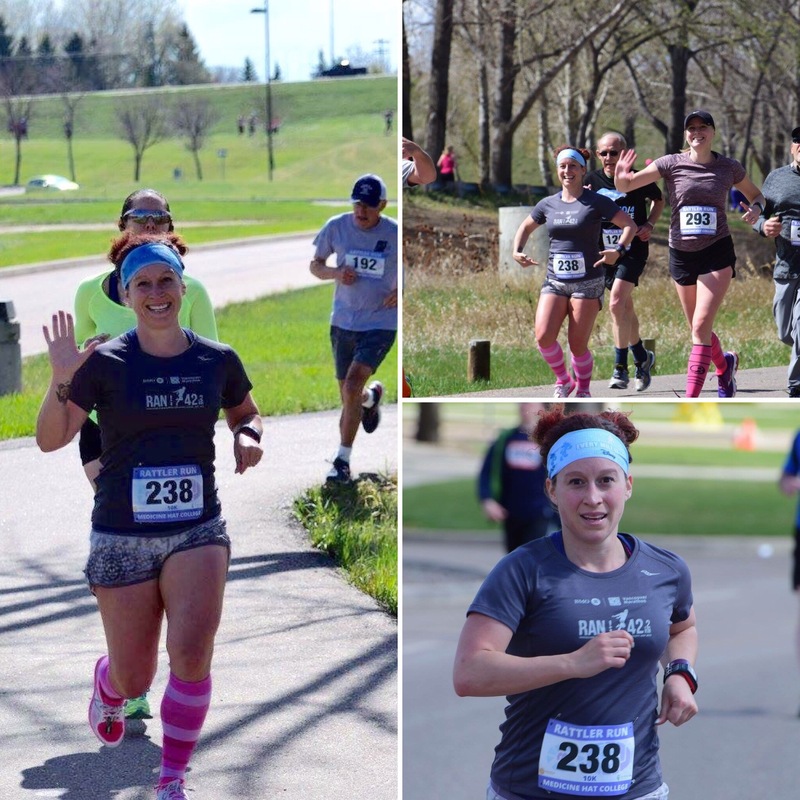 But, in 2013 I returned to Calgary for their half marathon. And in 2014 for the full. And 2015 & 2016 for the 50km. 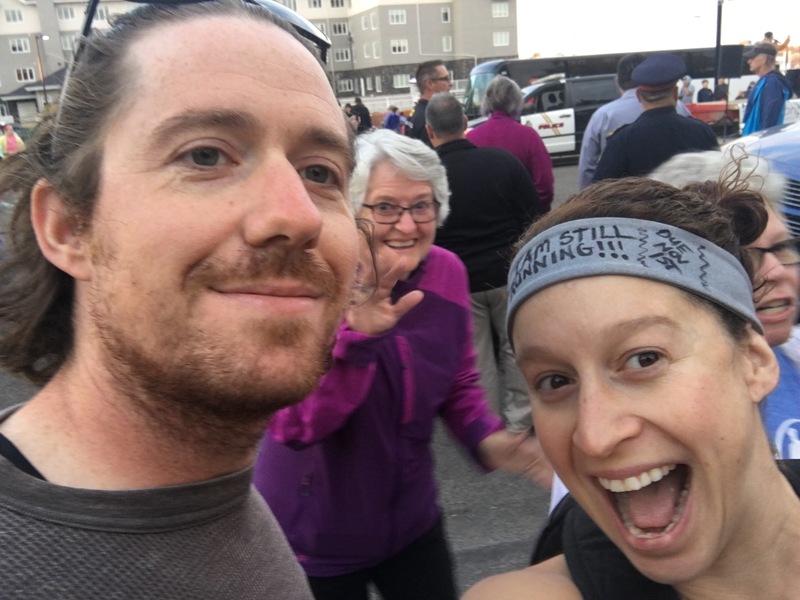 This year, my husband and I ran the half marathon. 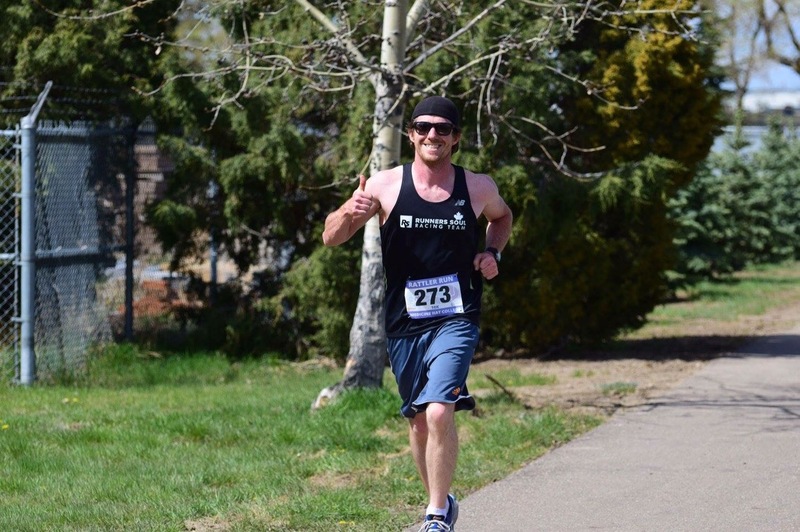 I went in with a few time goals, with my overall goal being to run a sub 2 hour half marathon. Normally, this is no problem as I have been running low and sub 1:40s for a few years now. But, being 17.5 weeks pregnant would be new running territory! If that goal couldn’t be met, I wanted to beat my first half marathon time of 2:05.30. Third goal would be sub 2:10. And after that, just completion. Weather was set to be comfortable, and the 7:00 am start is always nice. In my experience running Calgary Marathon Weekend event, the heat really kicks in at around 9:30 and on. I would be done before the heat of the morning arose, and off those non-shaded city streets. I was concerned, however, about needing to use the bathroom multiple times. I am needing to stay hydrated more than ever, but that comes with consequences! Dan and I started in separate areas of the starting corral. I actually started with our cousin Erin, even though I knew she’d be gone from my sight in a few short steps. I started farther up than maybe I should have, but I also know so many people self-seed themselves incorrectly. I planned on pushing the first mile just so I could get some space and not be trampled/ran into/stepped on. This plan worked as I ran mile 1 in 8:33, and therefore had plenty of elbow room. Mile 6 was my slowest, at a 9:46. This is due in part to my one and only potty break. I spotted two Porta Potties downtown at around mile 5.8 and there was no line. PERFECT! But, they were both occupied. I had to wait probably somewhere around 15-20 seconds, went in and was out quickly. Probably used about 45 seconds there. But, it was needed. Hopefully it wouldn’t come back to taunt me as my time approached the 2 hour mark. I was never able to get my pace back below that 9 minute mark, but I hovered right around it. Miles 7-10, which mentally were the most challenging as you saw people already heading back to Stampede grounds as you were heading to the turnaround, were 9:05, 9:03, 9:14. During those miles, I took advantage of the soaked sponges, as I do at every Calgary event! The sun was up, clouds were non-existent…it was warming up! I needed to keep my body temperature down. I kept watching my heart rate and every time it got near 170 I would slow down a bit and adjust my breathing to bring it down to a 150. On the home stretch I knew I could get that sub 2 hour. I ran a 9:02 for mile 11, 9:08 for mile 12 and a 9:11 for mile 13. The problem was when my watch hit 13.1 miles, I wasn’t at the finish line. 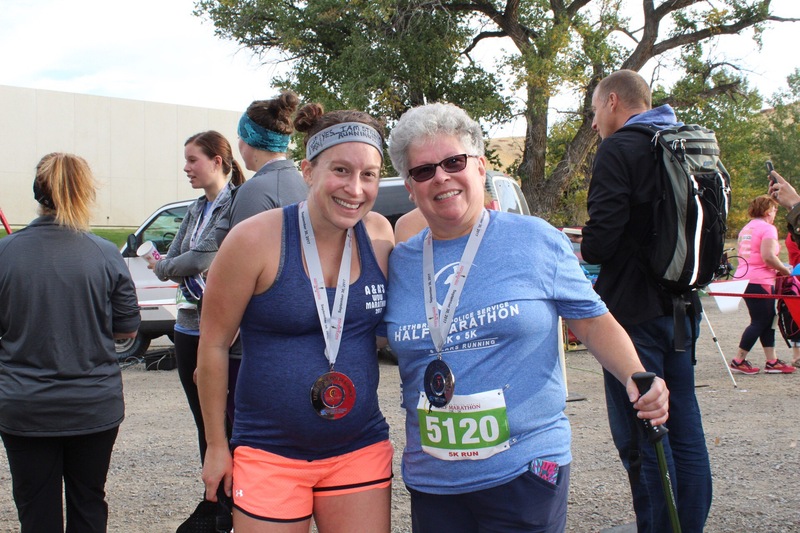 This can happen in a lot of races, especially if you veer off the course to use a bathroom, run zig-zagged to go to aide stations, don’t run the tangents of the course….I pushed as hard as I could so I could get under 2 hours. My watch read 13.9 when I finished, and I finished in a 1:59.12! 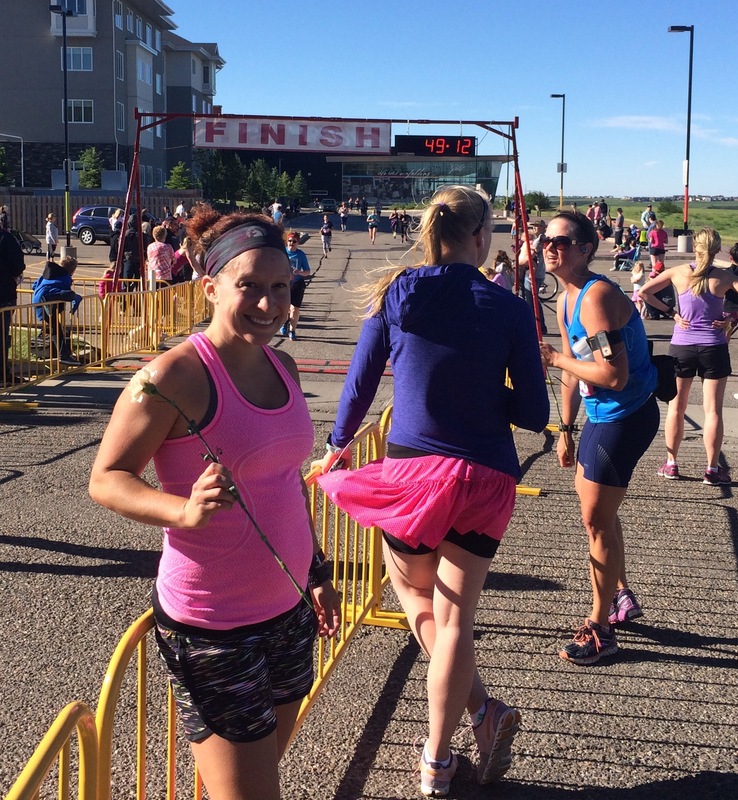 A sub 2 hour half marathon! Dan was in the finish area waiting for me (I’m not sure how he managed to stay there without the volunteers kicking him out after he finished). He ran a personal best of 1:41.08. This was over 11 minutes faster than his only other half marathon, which he ran a year before this. Look what a little training can do! And with him running that time now, if I can get him to keep on with running, I will have some friendly competition post pregnancy!